Mayor Joy Cooper has been arrested and charged with three felonies: money laundering, official misconduct and exceeding the limit on campaign financing contributions. The multiple charges stem from an undercover investigation conducted by the FBI that began in 2012 and was turned over to state prosecutors in May 2017, said Constance Simmons, a spokeswoman for the Broward State Attorney’s Office. Each third-degree felony carries a maximum five-year prison sentence. 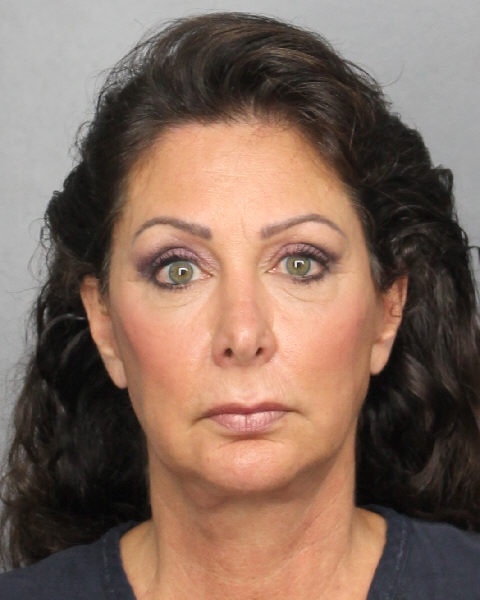 Cooper has been accused of meeting with wealthy land developers who were actually undercover FBI agents pretending to seek political favor for a project in Hallandale Beach, said her attorney, Larry Davis. The mayor met with the agents and prominent former attorney Alan Koslow over the course of several months. The meetings were all audio or video recorded, unbeknownst to Cooper. Cooper, 57, has also been charged with soliciting contributions in a government building, a first-degree misdemeanor that carries a maximum one-year sentence. 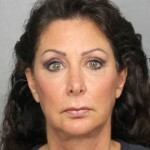 She surrendered at the Broward Main Jail Thursday morning and is expected to post a $12,000 bond later today, Davis said. Her arrest on state charges is linked to the prior federal investigation of Koslow, who was sentenced to one year in federal prison, sources with knowledge of the investigation said. The sources spoke on condition of anonymity. Koslow, now 63, was disbarred and released in September after serving his punishment in prison and a halfway house in South Florida. In August 2016, Koslow pleaded guilty and admitted he helped people he thought were “quasi-mafia” criminals hide the source of $220,000 linked to illegal gambling and drug dealing of cocaine and counterfeit Viagra. Koslow, who was considered one of the most effective and best known attorneys and lobbyists in the state, specialized in representing property developers and the gambling industry. According to federal court records, Koslow met at least 75 times with four different FBI agents between September 2013 and May 2016, though what he did remains secret because of ongoing investigations. At his sentencing, federal prosecutors and his defense attorney urged the judge to give him a reduced punishment because of his cooperation. Agents confronted Koslow in a Fort Lauderdale hotel room in August 2013, but he was not charged until May 2016. Koslow secretly cooperated with federal authorities on one or more undercover investigations during those two years and nine months, records show. The attorneys said at the time that he provided “substantial assistance,” which can range from providing information about other people’s crimes, working undercover or wearing a wire. Cooper, mayor since 2005, is no stranger to controversy. In November, her political rivals — Vice Mayor Keith London and Commissioner Michele Lazarow — sent a letter to Gov. Rick Scott asking him to remove her from office. Their letter came two days after Cooper slurred her words at a commission meeting and appeared to be under the influence of “some behavior-altering substance,” the letter said. Cooper said she was not drunk or on meds but severely dehydrated after contracting “Montezuma’s revenge” during a recent trip to Mexico. At the time, London said he felt compelled to contact the governor’s office in the interest of the public good. More than a year ago, London, Lazarow and Anabelle Taub — who was running for commission at the time and later won election — accused Cooper and other political rivals of spying on them. In October 2016, London found a GPS tracker on his car just two weeks before the city’s election. Similar tracking devices were found on cars owned by Lazarow and Taub. London reported it to the Florida Department of Law Enforcement, prompting a yearlong investigation. Cooper was first elected to the Hallandale commission in 1999. Last year, she said she would not run again when her term is up in November 2020, but later said she’d changed her mind. Cooper, who has lived in Hallandale Beach since 1991, is married to Dr. Harry Cooper and has three children.